Arts programs, as many of us are well-aware, seem to always be the first on the chopping block. Unfortunately, the opportunity to see or be involved in youth acting classes, music lessons, dance classes, or the visual arts is often not seen as being as valuable as other activities. But the reality is that involvement in the arts fosters growth in virtually every other educational and emotional area. Not only that, but it’s pretty clear that now, more than ever, our society needs the arts. By involving our children in theater performances, concerts, dance recitals, and other art forms, we’re making an investment in both their future and the future of the world. But how exactly can theatre help us accomplish these goals? We’ll explore those ideas in today’s post. 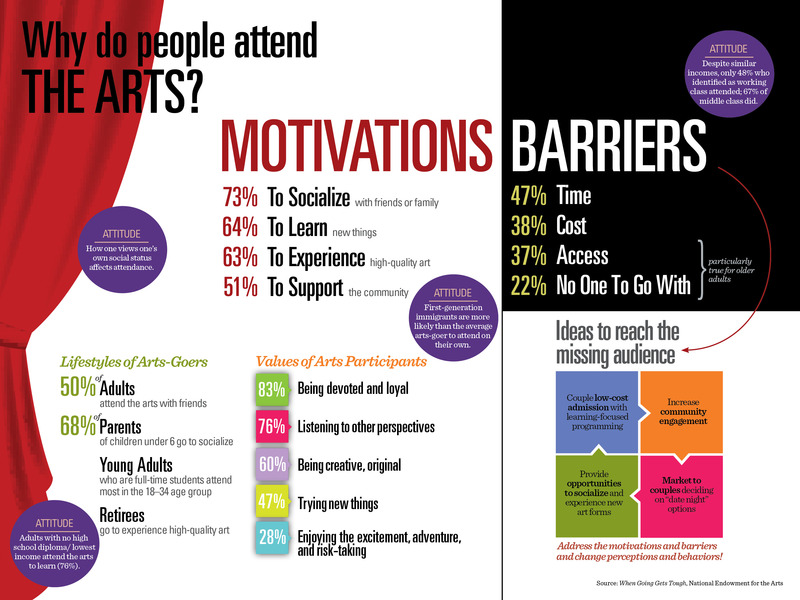 According to the National Endowment for the Arts, 76% of art attendees and participants say they value listening to perspectives other than their own and 47% value trying new things. Through youth acting classes and the shows your child might see at performing arts centers in your area, they’ll be exposed to characters from all different backgrounds and situations that may differ from their own. Live theatre teaches us to respect every other person, even if their opinions might not align with ours or they are in some way different from us. These theater performances teach young audiences to celebrate their differences and approach people in their lives with tolerance and empathy. Communication is at the heart of what we experience by watching a performance. Whether it’s expressed through bodily movement, musical melodies, poetic words, or even color and light, kids involved in youth acting classes or in show audiences learn a multitude of ways in which we can communicate with others. Learning about all the different kinds of emotional and artistic expression — and the most effective ways to tell a story or get a point across — is a valuable endeavor that will prove important throughout their lives. One of the greatest things we can teach our children is how to think and behave in ways that are ethical in nature. Many children’s theater performances and youth acting class scenes deal with moral dilemmas and troublesome situations. Seeing how the characters within these works handle these circumstances can show kids the proper way to work things out when times get tough or when they’re faced with a conundrum. These performances and scenes can serve as a guide to what’s right, allowing young audiences and participants to gain a better understanding of their own conscience. It’s likely that young creatives are already going to be drawn to dance lessons, youth acting classes, music lessons, and other artistic outlets. But of course, being involved in or viewing performing arts events will also allow their imaginations to take flight. As you might realize, developing these creative thinking skills is not only helpful for artistic endeavors, but for virtually any type of business. In order to be an effective leader or innovator, these are skills you need to possess to make any kind of impact. Down the road, if your child is trying to solve the world’s problems or come up with a unique solution for their startup organization, they’ll be able to rely on their creativity to do it. Although many parts of life are uncertain, two things are for sure: the arts will endure — and they’re more valuable than ever before. Performing arts classes and shows are not only highly enjoyable for children, but they can also provide the tools that they (and we) need in today’s world.